who invented mpesa and how does does he earn ? Many theories have been put across concerning the question about the mastermind behind the world’s pioneer mobile money giant. 1. 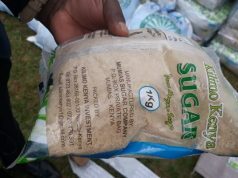 Jkuat student undertaking project – There was a story of a Jomo Kenyatta Institute of Agriculture and Technology (JKUAT) student circulating a few years back. The name of the student who invented Mpesa, or at least by his own right, is Nyagaka Anyona Ouko. The certificate of copyright he presented as evidence dates back to 2012; by then Mpesa was a force to reckon in the Kenyan economy. Ouko also claims that other Kenyans contributed to the founding of Mpesa. It is alleged the person who really invented Mpesa a JKUAT student undertaking his project. 2. NICK HUGHES – There are claims that Nick who is of a German decent is the true inventor of MPESA. He worked for Vodafone as an employee and headed the department of social eneterprise. Vodafone is a co-owner to the most profitable company in eastern and central Africa (SAFARICOM),which apparently now owns Mpesa. HUGHES stated that he noted a new form of trading in African countries and specifically Uganda. In 2003 the banking system in African countries was poorly developed. It was very hectic and stressful when individuals used it. As he studied this situation he found out a way in wich some individuals had adopted to the problem of money transfer. 3. Wikipedia claim that Mpesa is an invention of a Moi University student. The student invented a software that enabled money transfer over a mobile phone and was lured by Safaricom to give up the now multibillion invention. HOW MUCH DOES PERSON WHO INVENTED MPESA EARN ? the are claims that the person Who started mpesa later presented it Safaricom’s then CEO ‘Michael Joseph’ for testing and it was successful. ‘Micheal Joseph decided to implement it and the student was given a small handout by the business oriented CEO. He therefore earns nothing from profits since he sold the project as whole.